25 May 1420 – Henry the Navigator is appointed governor of the Order of Christ. 25 May 1524- TREATY with CHARLES V.
Treaty concluded by Thomas Docwra, prior of St. John of Jerusalem in England, on the part of Henry VIII., and Louis de Praet on the part of the Emperor. 1. Charles duke of Bourbon with a sufficient army shall invade France with all possible speed, so as not to give the enemy time to recover strength. 2. The Emperor will send with Bourbon the troops he was bound to keep in the duchy of Milan. Each prince will provide 100,000 gold crowns for the payment of the remainder of the army, the contribution to commence as soon as Bourbon is in French territory. 3. They will make an additional contribution, according as they may agree, if necessary. 4. If the King of England will invade France on his side, the lady Margaret, with 25 days' warning, will provide 3,000 horse and 1,000 foot, at the Emperor's wages, who will join the King or his lieutenant in six days after their landing, and serve for five months. The King will hire, in addition, 1,000 German foot. His contribution to Bourbon's army will cease at his invasion. 5. Any money obtained by the capitulation or capture of towns shall be divided between the Princes in proportion to their contribution. As to lands captured, the treaty of Windsor remains in force. 6. If Bourbon will not take an oath of fealty to the King as king of France, he will not be bound to contribute to the Duke's army. 25 May 1533-Henry VIII. to the Customers, &c. of London. 25 May 1536- Mary of Hungary to Ferdinand King of the Romans. I hope the English will not do much against us now, as we are free from his lady, who was a good Frenchwoman. That the vengeance might be executed by the Emperor's subjects, he sent for the executioner of St. Omer, as there were none in England good enough. Hears he has already espoused another lady, who is a good Imperialist (I know not if she will continue), and to whom he paid great attention before the death of the other. As none but the organist confessed, nor herself either, people think he invented this device to get rid of her. Any how, not much wrong can be done to her, even in being suspected as méchante, for that has long been her character. It is to be hoped, if hope be a right thing to entertain about such acts, that when he is tired of this one he will find some occasion of getting rid of her. I think wives will hardly be well contented if such customs become general. Although I have no desire to put myself in this danger, yet being of the feminine gender I will pray with the others that God may keep us from it. from a modern copy, pp. 2. 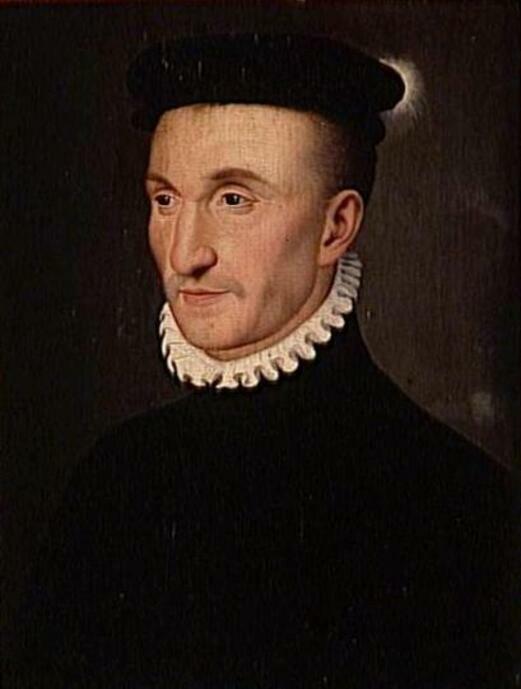 Headed: "Extrait d'une lettre de la Reine d'Hongrie au Roy des Romains en date du 25 Mai 1536." 25 May 1537 – Hanging of John Pickering, Dominican friar, at Tyburn. Pickering had been found guilty of treason for his part in the Pilgrimage of Grace uprising. 25 May 1553-Lady Catherine Grey married Lord Henry Herbert, son of the Earl of Pembroke, and Guildford’s sister, Lady Catherine Dudley, married Lord Henry Hastings. 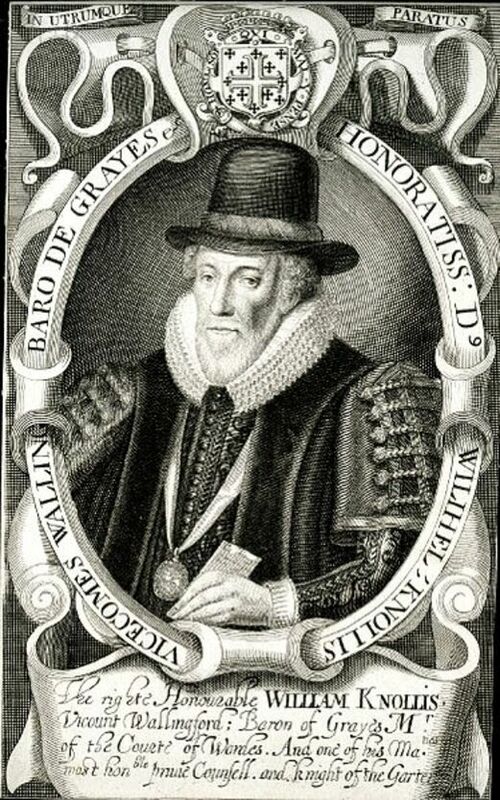 25 May 1632-Death of William Knollys, 1st Earl of Banbury.He was an English nobleman at the court of Queen Elizabeth I and King James.He was the son of Sir Francis Knollys, of Greys Court in Oxfordshire, and of Reading, in Berkshire, and his wife, Catherine Carey. 25 May 1660-Richard Cromwell resigns as Lord Protector of England allowing King Charles II to return and take his throne.